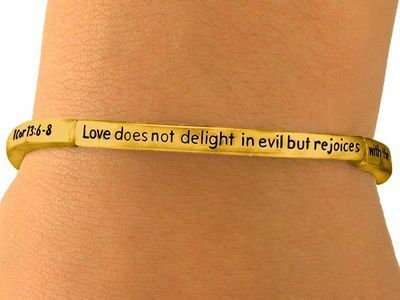 Lead & Nickel Free!! Gold Tone Stretch Bracelet With "1Cor 13:6-8" That Reads, "Love Does Not Delight In Evil, But Rejoices With The Truth. 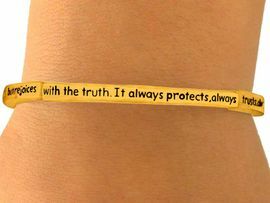 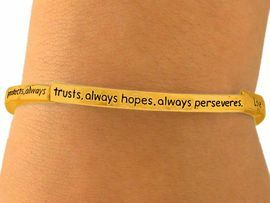 It Always Protects, Always Trusts, Always Hopes, Always Perseveres. 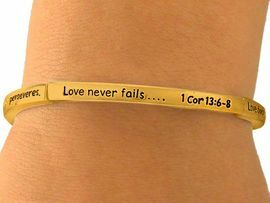 Love Never Fails..."